One of the most stressful parts of selling or buying property is being in a property chain. The stress is caused largely because the situation can be completely out of your control. When in a property chain you will probably be in the process of selling property and also of buying a property to move into too. The people looking to buy your home, unless they are first time buyers, are probably trying to sell their home as well and the current owners of the property you intend to buy are probably looking to a buy a new home too. This is an example of a property chain. It is stressful because this chain can be very long and if one buyer/seller has a problem with their transaction it effects everyone in the housing chain. Essentially, you are relying on the success of other people’s property transactions within your property chain in order for your transaction to succeed as well. 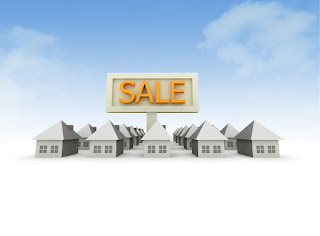 Housing sales most commonly fall through because the buyer has not been able to raise the finances required. If you are planning on buying a property you should approach the process with patience, organisation and honesty. When it comes to finances, it is best to be honest and clear about what you can and cannot afford. There is nothing worse than mentally moving into a home only to be told by your mortgage lender that they will not provide you with the finances in order to complete the sale. Not only would this be upsetting and frustrating, you will also be causing setbacks for everyone else involved in the property chain. Therefore, it is important you have a realistic budget in mind when you are looking for property to buy. If a property transaction does fall through you are likely to lose money on conveyancing fees and any surveyor’s costs. Should the worst happen, it’s important that you keep your eye on the property market until your property transactions are complete. Keeping your finger on the pulse of the property market will allow you to move on quickly to another property. If your buyer drops out you will need to keep your conveyancing firm and the other people in your chain informed of the situation. It could also be worth considering lowering your asking price in order to get another buyer quickly. The conveyancing team at Rollingsons approach every case with meticulous attention to detail which allows us to anticipate and avoid innumerable potential problems. For more information or to arrange an initial consultation, please contact us on 0207 7611 4848.